I have made a job for myself in the international martial arts community. It's a small job, with big intent. What I do is encourage martial arts teachers, most of them school owners, to raise the bar of their work, honestly, ethically, and with vision. I have two vehicles for that work, my job. One of them is a consulting firm / association called The Community. When someone joins The Community they get instant access to a sizable library of business-relevant articles, reports, and videos, which grows each week when new material is added, and they get to schedule meetings with me via phone or video to discuss whatever their issues and goals might be. Performing 1000 acts of kindness during the year --and facilitating, through leadership, 10,000 to 50,000 acts of kindness in their communities. In that one of my longtime students, Brian Williams, now a 5th degree black belt, heads www.thinkkindness.org and is already responsible for millions of acts of kindness initiated by children around the nation...helps. All UBBT testers know exactly who to turn to when looking to promote what might be considered both the ultimate self-defense and the best form of bully prevention: KINDNESS. Thinking up and initiating 1 or more WOW projects. A WOW Project is something that makes me, Mr. Very High Standards for Achievement and Expectations, go "WOW," A WOW Project must be innovative, engage many people, consist of solid, well-thought-out content and purpose, and it must illustrate, from beginning to end a level of thought and action mastery that is uncommon. UBBT members are instructed to keep a detailed personal / public diary, a journal, of their test year, which serves several purposes. First, it keeps me tuned into what the tester is doing, or not doing, which helps me decide if someone has actually earned the right of new rank --or if they need more time to mature. Second, a journal keeps a record of the tester's journey, which down the road can serve the students of the teacher involved, the teacher, and the martial arts community --who all get to see where the instructor's head was at as they made their way through the various test tasks and challenges. And thirdly, if a UBBT tester is truthful and conscientious, their work can serve as an inspiration to martial artists all over the world. Our first UBBT website, launched in 2004, had over a million views. Ideas and high standards are spread just like that. Jeremy Smith, who started taking lesson from me as a teenager. One of our current testers, Mr. Jeremy Smith of Dynamic Martial Arts in Gresham, Oregon, wrote this week, coincidently, about kindness. Read his journal entry here. 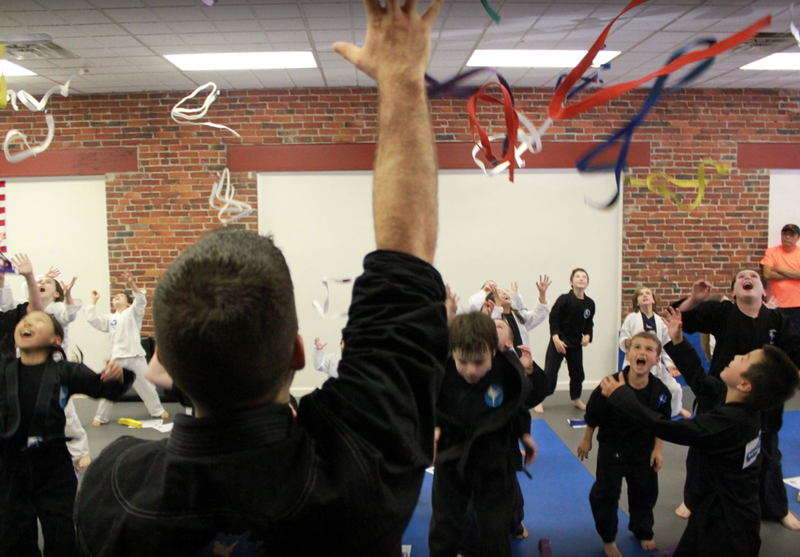 Paul Castango, a martial arts teacher who approaches his work and life with compassion and commitment. UBBT 2018 member Paul Castango of Revolution Martial Arts in Natick, MA, another go-getter and get-things-done instructor relates in his latest journal entry how he hit a wall or two in his weekly training due to all sorts of personal, exciting, and inevitable obstacles. With the UBBT running for 12 consecutive months, every participant hits the wall any number of times. Think how good it is for Paul's students when they see him struggle --just as they do. Read Paul's latest UBBT journal entry here. Most every UBBT journal reveals something interesting about the tester and his or her understanding of the work. Part of my job is to coach master teachers in the fine art of communicating the work they do, their ambitions, and the evidence they're actually doing what they promise in their marketing. The journal writing these progressive teacher do is a part of that learning process.